The world of insurance can be a mind-boggling issue as there are so many options and companies vying for your business. It can be difficult to know whether you are making the right decision for your needs especially when matters of a health-related nature are concerned. Sometimes the decision of which insurer to choose is made for you such as when you receive health insurance as part of your employment package. This is becoming increasingly popular especially in the business world. Choosing your healthcare insurer in this instance is done for you as your company is likely to have an agreement already in place with a reputable medical insurance provider. Sometimes the employee must complete a certain length of service within the company before they are entitled to health care and often the immediate family can be added at a later date as another perk of the job. Researching the different companies is essential to find the cover that is perfect for you.This can be done using the internet, making a few phone calls or going on some else’s recommendation. It wouldn’t be realistic to think that you can research every company as there are so many, but sometimes weighing up the benefits provided by the larger insurers and those offered by a smaller provider can be quite revealing. 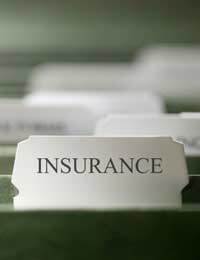 Sometimes it might be worth checking your existing policies such as life insurance, household insurance or even car insurance as occasionally there may be a way of taking out a second policy with the same company at a discounted rate. It may even be possible to find a bank account agreement that enables you access to discounted health insurance.Although it is not guaranteed it is worth performing a quick check just to make sure you haven’t missed the best deal. When you are performing your research always keep a notebook handy and write down in plain English what is included and what isn’t. Write down the cost and break this down into monthly payment to make an easier comparison. Find out whether the rest of the family can be included and at what price and most importantly find out what is and isn’t included in the price as many insurers will exclude certain treatments. Some insurers may require you to pay the full premium in one go whilst others will spread it out over the year.It is also possible that the insurer will lower the premium in return for sharing the cost of treatment. For example, they might agree to a smaller monthly payment but in the event of you needing any treatment, will only pay half the cost leaving you to pay the rest.Always read the small print for details such as this. It is also important to find out how the payment to the healthcare provider is made. Sometimes you will have to pay the bill and seek the refund from the insurer whilst others will pay the healthcare provider directly. This is important as you may find a hefty bill needs paying and the insurer won’t reimburse you until they have proof that you have paid. Find out how to make a claim, how easy it is to gain a referral to the private sector, which are the nearest hospitals to you that receive private patients and also what to do if you want to change hospital, doctor or even how to change your insurer. Choosing health insurance can be a confusing issue and there are many considerations to be addressed before making a decision. Always make sure you understand the terminology used and that you are happy with your quote before proceeding.